Ph.D. from the Hebrew University of Jerusalem. Former Israel Ambassador to the United Nations, the first woman to hold this position. Served as Chief Legal Editor of the Judgments of the Supreme Court of Israel and also edited the legal section of the Hebrew Encyclopedia. Formerly a Full Professor of Law at the Hebrew University of Jerusalem. Served as a Visiting Professor on contract and comparative law at various universities in the U.S., Europe and Canada. Regular participant at international conferences relating to comparative law and a member of the International Academy of Comparative Law. A leading expert in contract law and public authority contracts, both in Israel and abroad. Over the years, she served on many public committees and corporate boards, including: Bank HaPoalim, Israel Electric Company, Ma’ariv and others. 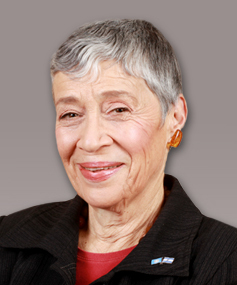 She won the Sussman Prize in law (1989) and the Zeltner Prize in law (1991). In 2003, she won the Israel Bar Association Award for special achievements in academic legal research. Member of the board of directors of Bank Leumi LeIsrael Ltd. and other public bodies.